20km south west of Ostrava city in Czech Republic, you will find the Ostrava Airport. With over 300,000 passengers a year, it hosts regional and international flights. Among the scheduled flights plying the route include the Czech Airlines, Holiday Czech Airlines, KLM, and Smart Wing. You will find regular flights to Prague, Antalya, Paris-Charles de Gaule, Burgas and Rhodes. Other airports near Ostrava are Katowise and Brno Turany located over 100 km away. From the airport, you will find helicopter services too. Both the passenger and cargo terminals are quite busy. At the airport, you will find a restaurant and a cafeteria for your meals. At the terminus there are 2 ATMs, a currency exchange service and a conference facility. You also enjoy free Wi-Fi and internet access. You can go about your business as you relax at the comfortable lounge area. Other services that you will find include the car rental and tour group operators. You could make early reservations for these services so that as soon as you arrive at the airport you find efficient transport and tour waiting for you. The airport is in the third largest city of the Czech Republic. It is just about 15 km from Polish and 55km from the Slovak border. For an interesting cultural expedition, tour the Ostrava theatres. You will find four theatres, an Orchestra and two landmark buildings. It also has the World Heritage Sites, the Silesian Ostrava Castle, aquarium, and large stadiums. If you prefer nature tours, there are sightseeing activities around the Ostrava zoological gardens, and the Viewing Tower. 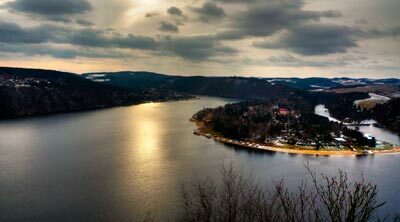 Located in the north eastern parts of the Czech Republic, it features a continental temperate climate with hot and humid summers. The winters are often mild and dry. To enjoy the summertime, visit around July. From the airport drop off points, you find taxis, car hire operators and hourly buses. The nearest train station is 10km from the airport. The city of Ostrava is a major commercial and economic hub. As a result, the car hire services and taxis at the airport have efficient operations to connect you to your destination in time. Since the airport is open on a 24hour basis, you can be sure to find reliable transport at any time of the day. Car rental service from Ostrava airport is affordable and provides a variety of vehicles for all travelers. If you are travelling for long hours, you will find special discounts in the weekly and monthly car hire rates. Driving around in the city of Ostrava Airport with a rental car can be a hassle but not impossible. Its a good way to move around but we advise to have a look at the local traffic rules as they may vary with what you are used to. Take in mind that in rush hour traffic can be pretty dense and it can take longer before you reach your destination. Most major car rental agents in Ostrava Airport offer one way rentals. One-way rental is when you collect the car in one place and return the car in another location. In most cases the car rental agent will charge an extra fee if you wish to return the vehicle at a different location. In the terms and conditions will state if the one-way fee is included in the rental price. If the one-way charge is not included in the rental price, the one way charge needs to be paid on arrival directly to the car rental agent. Last month, the average car rental length at Ostrava Airport was 10 days. The average rental car length at Ostrava Airport is 7 days. The most booked rental car type currently at Ostrava Airport is INTERMEDIATE cars. Last year, the most booked rental car type at Ostrava Airport were ECONOMY cars. How much does it cost to rent a car at Ostrava Airport? Last month, the average car rental price was 490 USD. Last year, how much did it cost to rent a car at Ostrava Airport? Last year, the average car rental price was 364 USD. What is the current average daily price to rent a at Ostrava Airport? Last month, the average rental price was 48 USD per day. How much did it cost to rent a car at Ostrava Airport over the past 12 months? Last Year, the average rental price was 49 USD per day. The car rental companies available at Ostrava Airport are: . See below last 5 customer reviews. Our customers rated Ostrava Car Rental with an average of 0.00 based on 0 ratings.